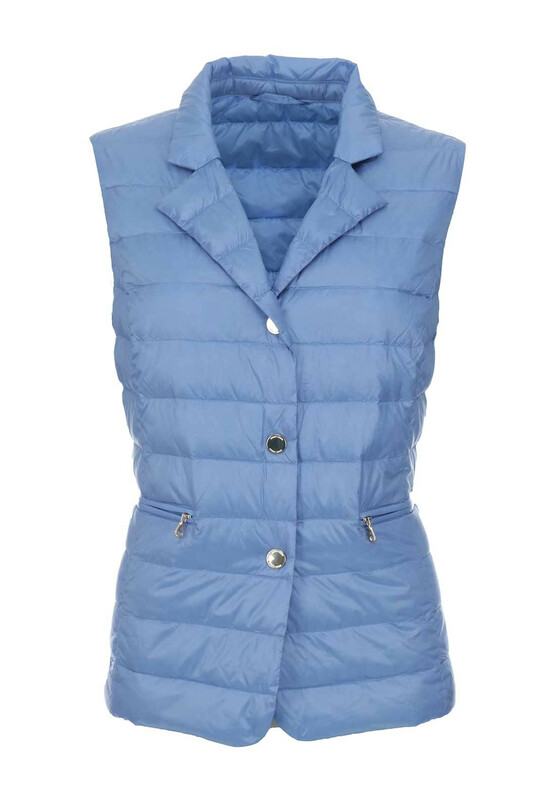 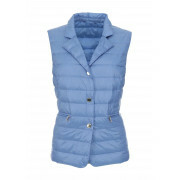 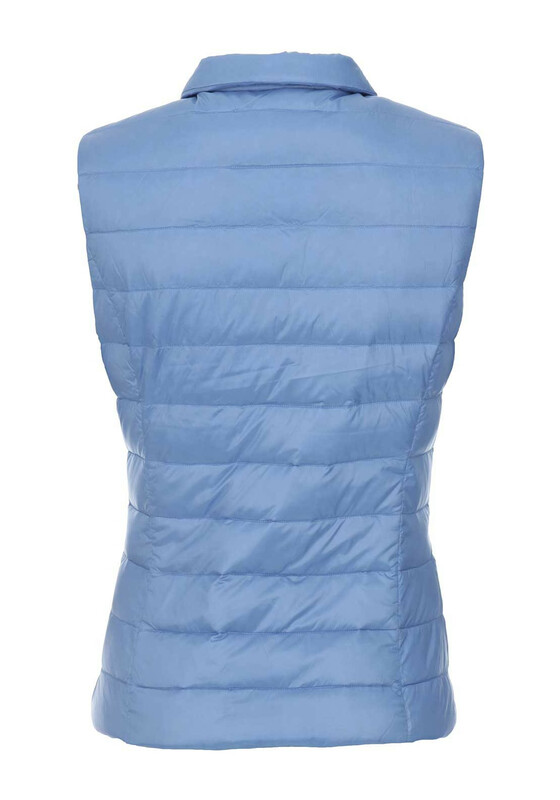 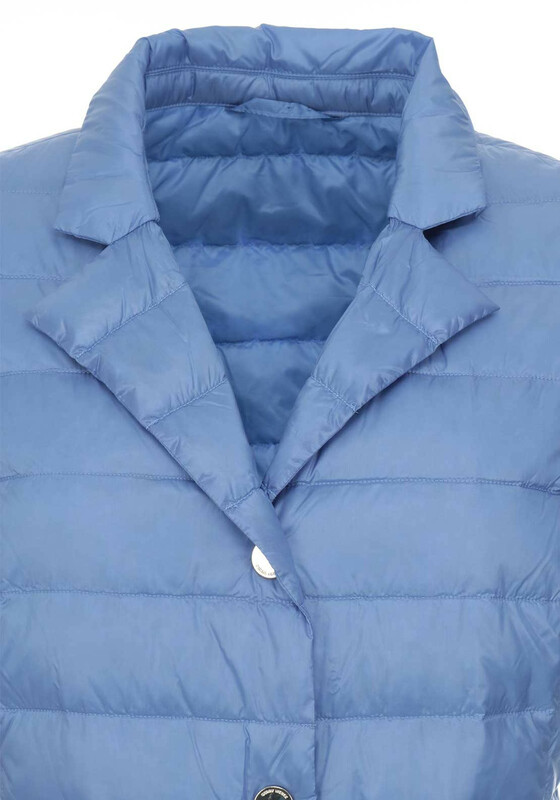 Gerry Weber presents this sky blue gilet which would be a lightweight addition to your outerwear collection. 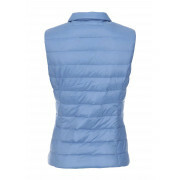 Crafted from lightweight water repellent fabric which is filled with soft down and feathers which will keep you warm. 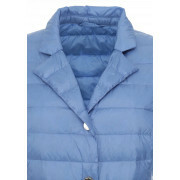 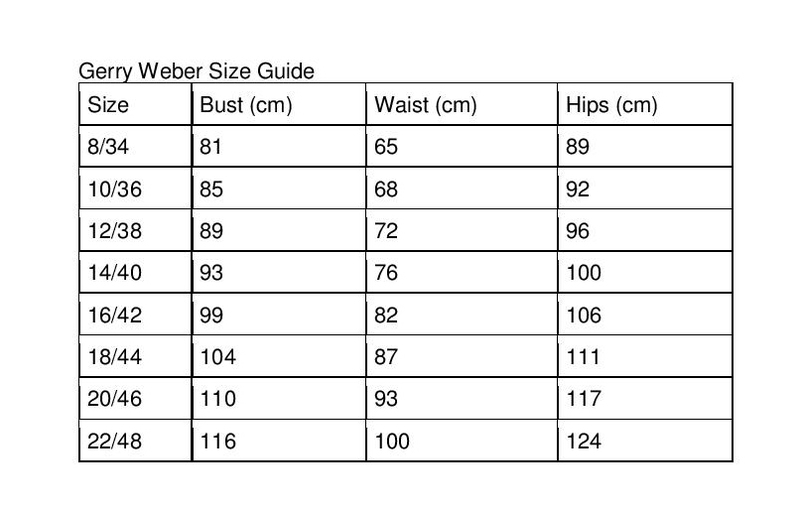 Designed with a straight shape and featuring a turn down collar, zipped pockets and snap button placket.